Our rugged cast iron Terry metal shelf brackets look amazing paired with rustic wooden shelves. Think chipboard, reclaimed wood or even driftwood. Use to create open cupboards in kitchens or as shelving above fireplaces. 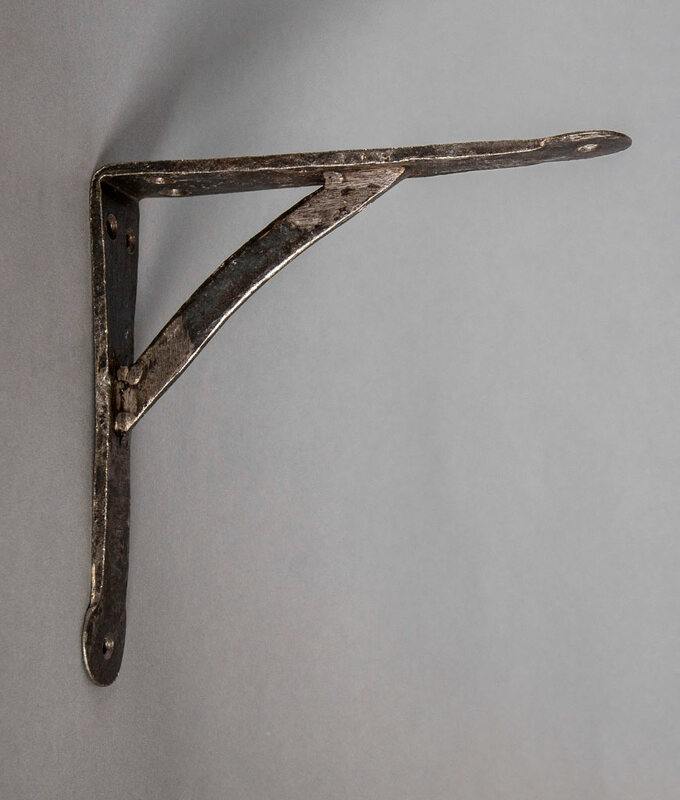 Our TERRY metal shelf brackets have a rugged finish. 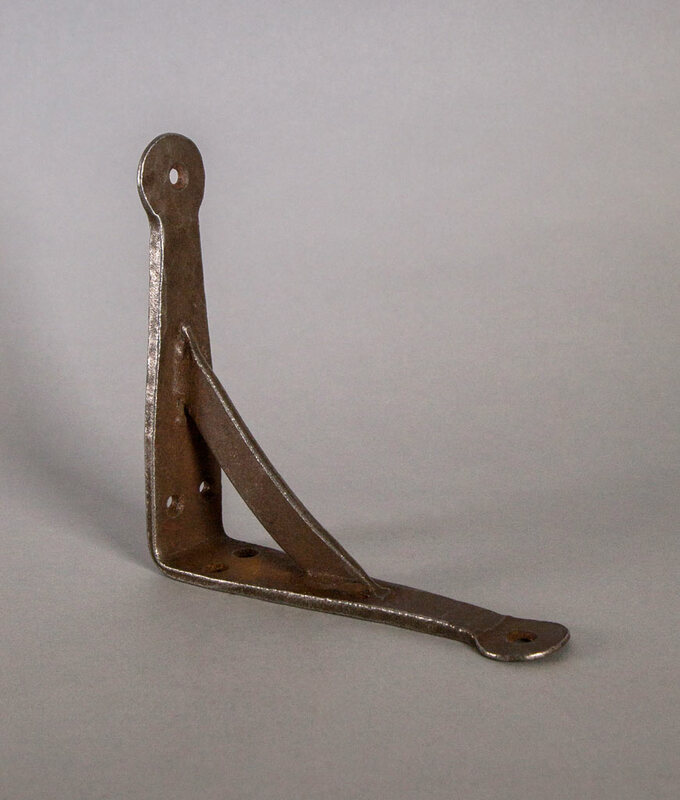 Taking their namesake from Terry Holland – one of only four British men who has stood on the podium in the World’s Strongest Man competition, these cast iron brackets are definitely macho. Perfect for supporting whatever type of shelf you want in your interiors – Terry really is that strong…Just make sure that your walls can support the weight! 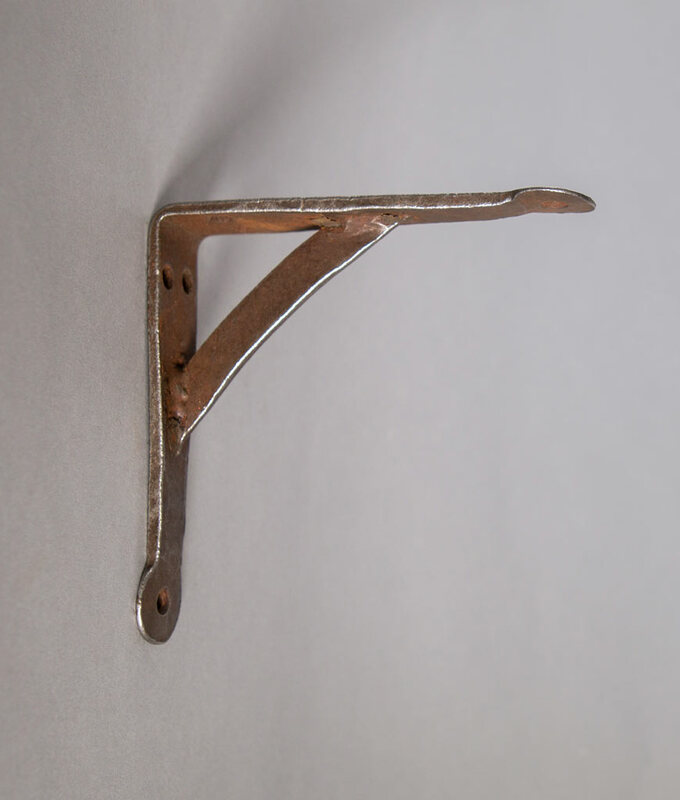 Available in two sizes, small and large, these lightly oiled forged iron brackets are the perfect starting point for creating industrial style shelves. 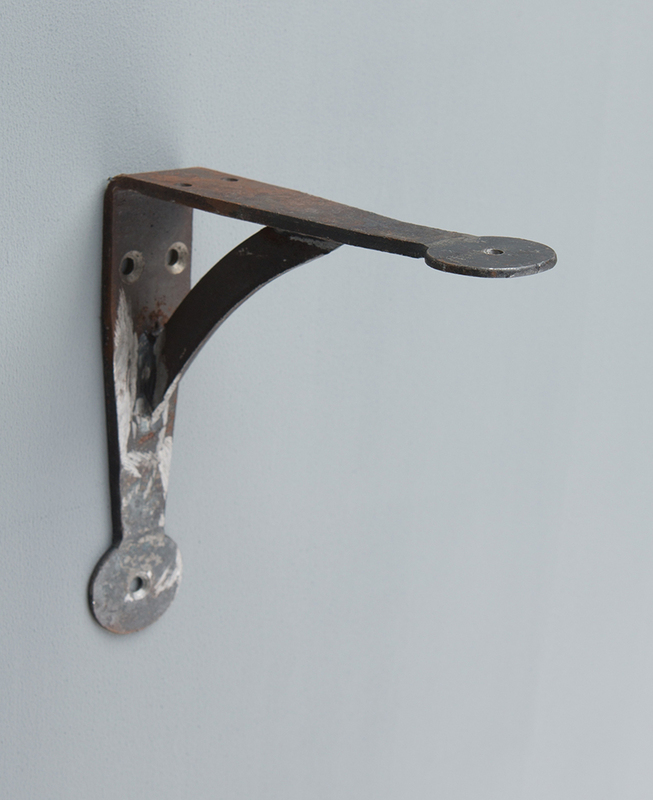 We love this macho bracket as an industrial accent in a contemporary interior. Use on monochromatic walls to support rustic pieces of reclaimed wood in kitchens, living rooms and basically anywhere you need some sturdy shelving. They add a vintage, hand-crafted vibe to your carefully styled interiors. Combine the small and large brackets with different wood finishes and display randomly across your walls at different heights and locations for an authentically natural finish – they’d make a stunning alternative bookcase. 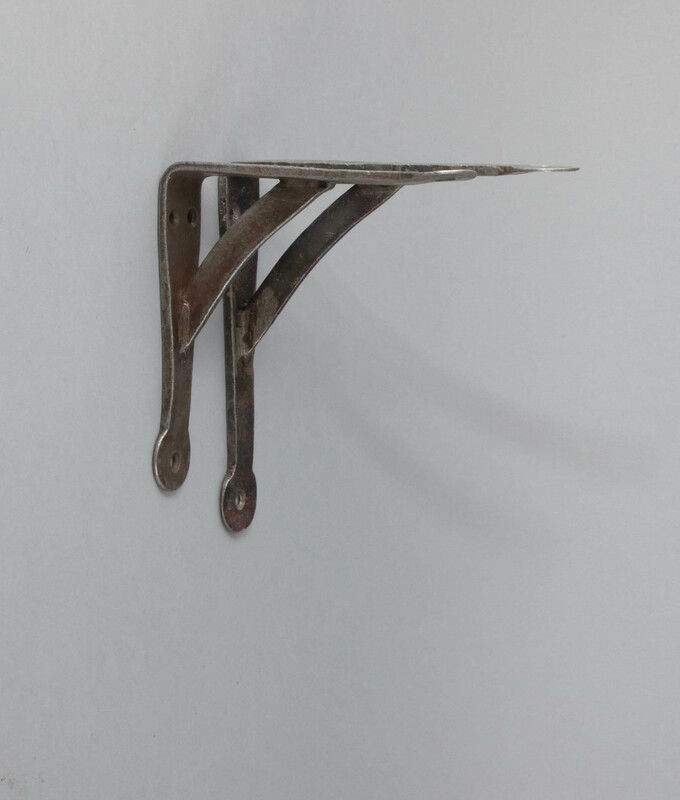 Each of our metal shelf brackets is unique. With tool marks, hand-welded joints and rusting on the surface they epitomise industrial design. Coordinate with our hardware range to pay homage to vintage industrial design. The oiled finish of Terry means that it shouldn’t rust – but it may need re-oiling if used in damper environments. 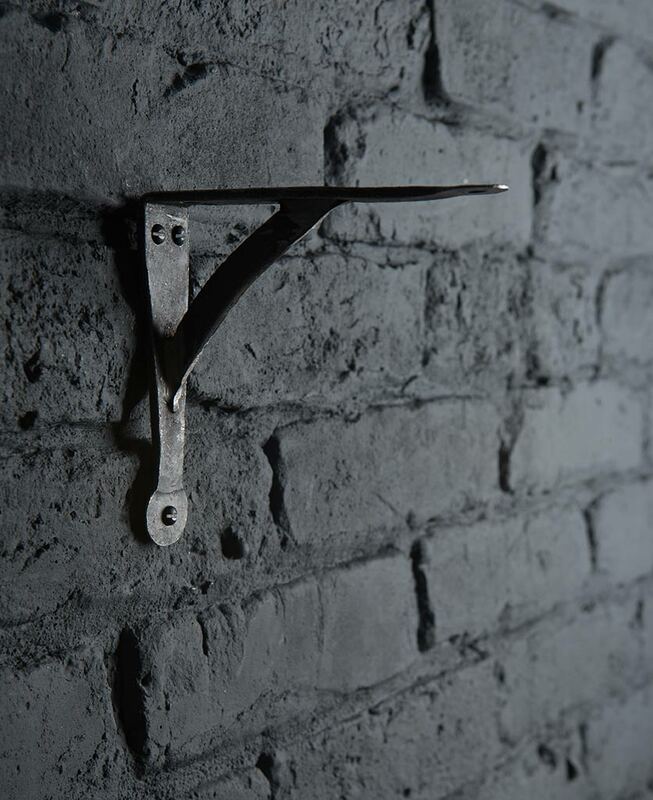 Our collection of shelf brackets is now part of our hardware range and can be coordinated with kitchen door handles, drawer knobs and hairpin legs to accentuate an industrially styled interior.